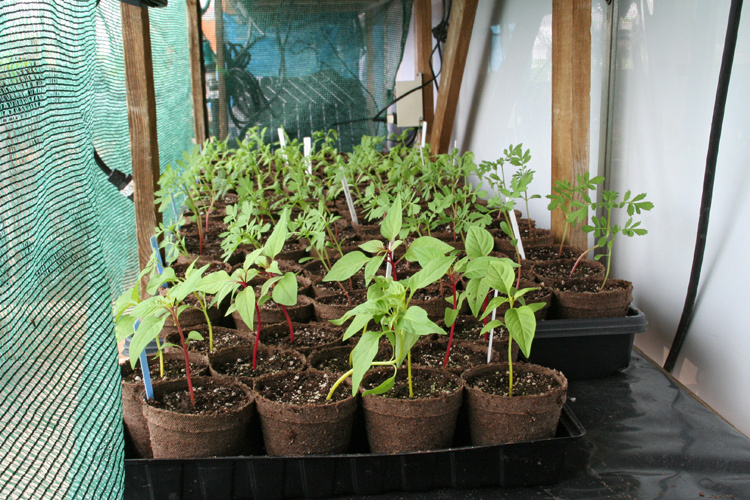 12 - Potting Up - Perelandra Ltd.
Home > Photo Gallery > Gardening One Bite at a Time! 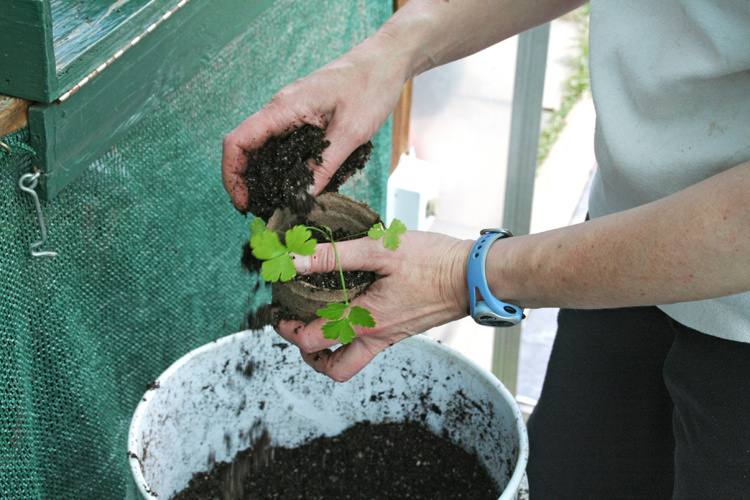 Those seeds you started in February-March will need to be potted up in April as their roots break through their starter flats and pots. This soil was pre-mixed with ETS for Soil and EoP, as instructed by nature (tested when we prepared our greenhouse charts before planting began). 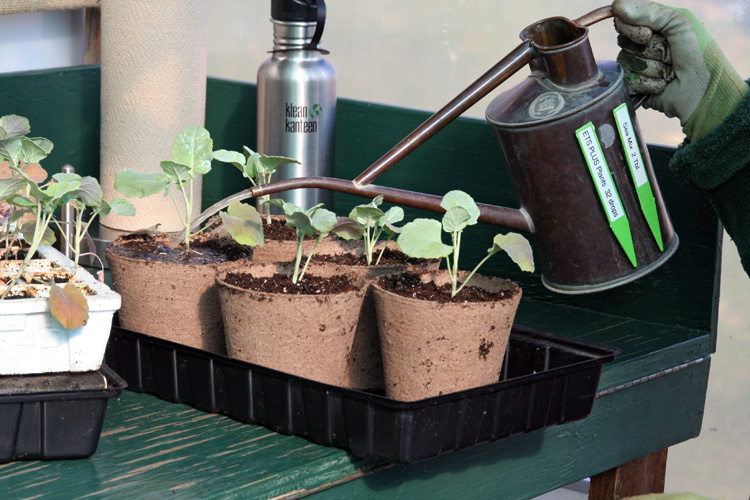 ETS for Plants was used along with a liquid seamix fertilizer, as nature suggested. The amount you use is on those greenhouse charts you're following. The new pot-ups are put into shade so the plants energy can be focused on strengthening the root system for the first few days. The number of days they stay in shade was determined by nature and is also on your chart for easy reference. All you'll have to think about at this point is the potting up.